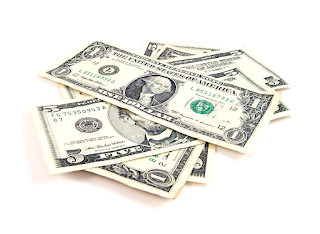 Lil' Blog and More: Win $30 Cash in The Falling Into Fall Giveaway Hop! Ends 9/26 - Open Worldwide! 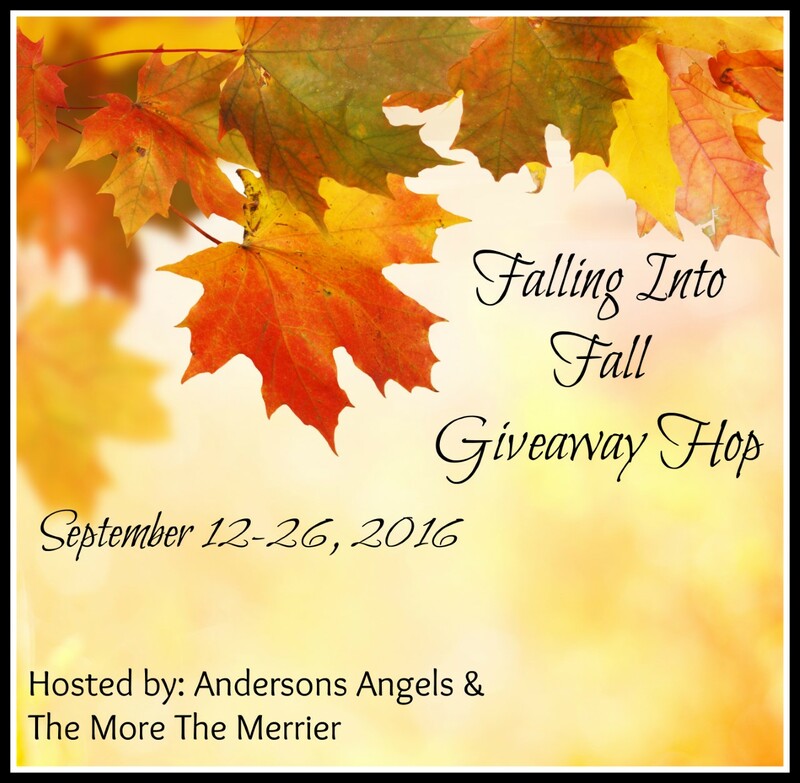 Win $30 Cash in The Falling Into Fall Giveaway Hop! Ends 9/26 - Open Worldwide! "Now is the time when friends and families get together to give thanks for all the wonderful things they've been given throughout the year. Anderson's Angels and The More The Merrier, are so very thankful for our families and the cooler weather moving in! We've joined with over 20 other wonderful bloggers, to bring you another great giveaway event! Each blog has gathered a prize package of $25 or more for The Falling Into Fall Giveaway Hop!" I love joining in for these hops! I go through the link list myself just to find all of the great stuff : ). There is a decent amount of bloggers on the linky - All with great prizes! So be sure to swing by, and enter to win as many as you can! Now that you've entered here, hop through the other giveaways, to enter to win even more prizes! Good luck! I love being able to dress warmer, shorts and tank tops aren't for me! I like the autumn weather. My favorite thing about fall is the cooler temperatures. My favorite thing about fall is the cooler weather! We've had a scorching summer. By far my favorite part of fall is going apple picking! I enjoy the weather, warm but not hot anymore. To be honest, I dread fall because it leads to winter. I hate the cold! I love our local state fair in October! I love the cooler nights, especially during early fall where the days are hot here but the nights are chiily and great for sleeping. Its hard to pick just one thing. I love the cooler weather, the beautiful leaves, the fall foods, and the visits to the apple orchards just to name a few. I love the cooler weather. This summer was brutally hot. I love all the beautiful colors of fall! My favorite thing about fall is the cooler weather that makes for great sleeping nights. My favorite thing about fall is when the leaves change their colors. I love the shades of reds, yellows and oranges against the beautiful blue sky. My favorite thing about Fall is the cooler weather, fall colors and football! Colourful leaves most definitely. So pretty for pics! My favourite thing about Fall is the colourful trees! The cooler temperatures! I can finally breathe again after another awful summer. I love the cooler weather. I also love fall food flavors! My favorite thing about Fall is the smells of Fall..hot apple cider & cinnamon, the cool breeze, burning leaves, all of it. My favorite thing about fall is the cooler weather! This summer has been miserable. I love the smell of the crisp air. My favorite thing about fall is all of the pumpkin-flavored products. Yum! Down South, our favorite thing about fall is the cooler weather. Autumn's my favourite season. It's when the plants start to settle down to sleep over the winter, the animals start to prepare for the cold months ahead and the colours, oh, the colours are like the northern hemisphere is ablaze! Of course, I could have just said that it's my birthday at the end of September! The cool weather and the colored leaves. My favorite thing about fall is finally having cooler temps, if we ever get to that stage. We are still having 90+ degree temps. I love the cooler temps and the colorful leaves. I also love fall cooking soups & stews. My favorite is the outfits to wear in fall- jeans and sweaters. My favorite thing about fall is the cooler weather that is coming!!! My favorite thing about fall is definitely the cooler weather! It's been so hot that I'm past ready for fall. My second favorite thing is pumpkin spice though lol. Ah, I love the fall for the simple fact of the cooler weather. It's been a terribly hot and unbearable summer, so the cooler weather will definitely be welcomed! My favorite thing about autumn is the cooler weather. My favorite thing about fall is going apple and pumpkin picking with my daughter. My favorite thing about fall is the red trees, the mild weather, going out for a walk with my dogs.. I love everything about Fall! The crisp weather, the colorful leaves and the feeling of anticipation as all of my favorite Holidays approach! I love the changing colors of the leaves in autumn! I like the cooler weather, turning leaves and Pumpkin Festival. The colors changing in the leaves and the cooler temperature. I love the Sweater/Leather weather! My favorite thing about fall is seeing the leaves change colors! I love everything about Autumn: the smells, the colours, and the fall harvesting of our garden are some of my faves. My favorite thing about fall are the rainy days when I stay home with a book in my hands! fall is my favourite season of the year! I love the cooler days; warm sweaters, slippers, hot chocolate and the smell of a fire burning. My favorite part of fall is Halloween! Love the decorations and the fall colors. I love the leaves changing color. I go for long walks in our park near our house to take pictures of the vibrant changes. My favorite thing about fall is visiting pumpkin patches. My favorite thing about Fall? Leaves turning, temperatures cooling down, school, everything pumpkin, the donkey's coats start getting thicker, mmm. Fall. I don't tolerate the heat very well, so my favourite thing about fall is the cooler weather. My favourite thing about fall is the colours. And, also, walking through crunchy leaves on the ground! My favorite thing about fall is the start of school. I love the new scent in the air, Its a cool soft scent that brings the smell from the earth and leaves..
My favorite part of fall is the cooler weather and spending more time outside. I love the colorful leaves. My favorite thing about fall is the cooler weather and the relaxing vibe it has to it. My favorite thing about fall is the cooler temperatures! My favorite thing about fall is baking! My favorite thing is family birthdays starting with going to see my granddaughter for hers. My favorite thing about fall is pumpkin flavored everything! My fave thing about fall is open windows. My favorite thing about Fall is the cooler weather. I love how the leaves change colors. My favorite thing about Fall is the changing color of the leaves and the cooler weather. My absolute favorite thing about fall is the smells!! love the smell of pumpkins, cinnamon and vanilla! I love the cooler weather and the great holidays coming up! The crisp air and the leaves changing color are my favorite things about fall. I love all the vibrant colors of fall foliage. I love pumpkin coffee, pumpkin beer, and pumpkin treats. My favorite thing about Fall is the state fair comes into town! I love the changing leaves and cooler weather. My fave thing about Fall is all of the beautiful colors of the trees and that yummy smoky smell in the air. My favorite thing about Fall is the pumpkin spice flavored stuff being everywhere and caramel apples. I absolutely LOVE the changing colors of the leaves, and certainly the weather! However, here in Omaha, Nebraska it is still hot as heck! I cannot wait to be able to wear my hoodies! haha God bless and good luck everyone! My favourite thing about fall is the changing colours of the leaves. My favorite thing about fall is eating fresh apples, and green chili. I like that it starts getting darker sooner. Weird, I know. I love the changing of the leaves and the cooler weather. I love the cooler weather and all of the beautiful colors. My favorites are cooler weather, football, Halloween, and Thanksgiving! My favorite thing about fall is the food that goes with it. I'm not really that fond of the Fall anymore. I lost my 22 year old daughter last October to Suicide so there are a lot of very sad memories this time of year. I am so sorry for your loss. I cannot imagine going through the loss of a child. Halloween and Thanksgiving are my favorite things.